During the model's earliest construction stages, when Rich showed it around in primer, it generally got a luke-warm reception at best. Now that it's done, and people more readily see the final concept, the car gets a more enthusiastic reception. 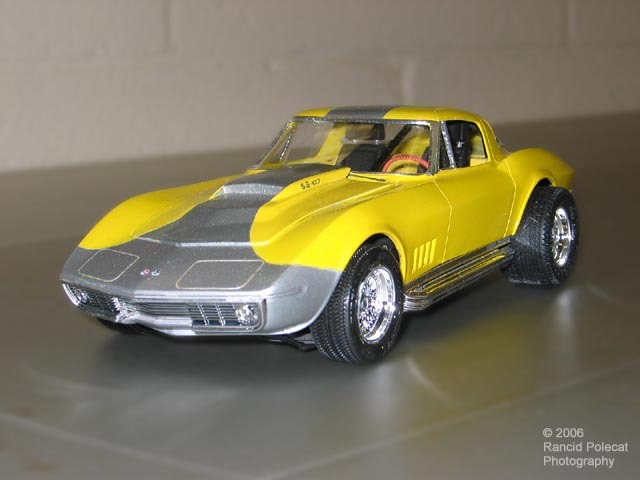 Since he completed this model, Rich Wilson has even had a few people look it over and express positive commentary on it without ever realizing its key difference -- until they see a photo of an unmodified Corvette. Has it hit you yet? Do you see what's special about this Corvette? It isn't the wheels and tires, although they are the only non-Corvette parts on the car.